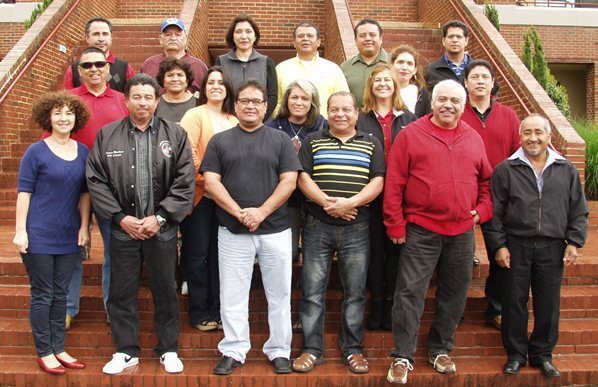 Participants in the first Spanish Leadership I course of 2013 expressed great appreciation for the curriculum provided in their native language at the William W. Winpisinger Center. The first 2013 Spanish Leadership I Program was held last week at the William W. Winpisinger Center in Hollywood, MD. All members expressed great appreciation to the IAM for providing their curriculum in their native language. The next Spanish Leadership I is scheduled for the week of July 7– 10. The enrollment cutoff date for the July Leadership I Program is June 20, 2013. Space is limited and members should act now to secure enrollment. Please note that enrollments in any of the Spanish Leadership classes do not count against your Lodge’s regular leadership school allotments. Click here to download enrollment forms in either Spanish or English directly from the Winpisinger Center’s website. While all classroom instruction, books and materials are in Spanish, the content is identical to the material used in the English leadership programs. Spanish-speaking members who have completed Leadership I in English are welcome to enroll in the next program in the leadership series in Spanish. If you have questions about the Spanish Leadership Program at the Winpisinger Center, please contact Education Representative Richard Suarez at 301-373-8823 or email rsuarez@iamaw.org – in Spanish or English.